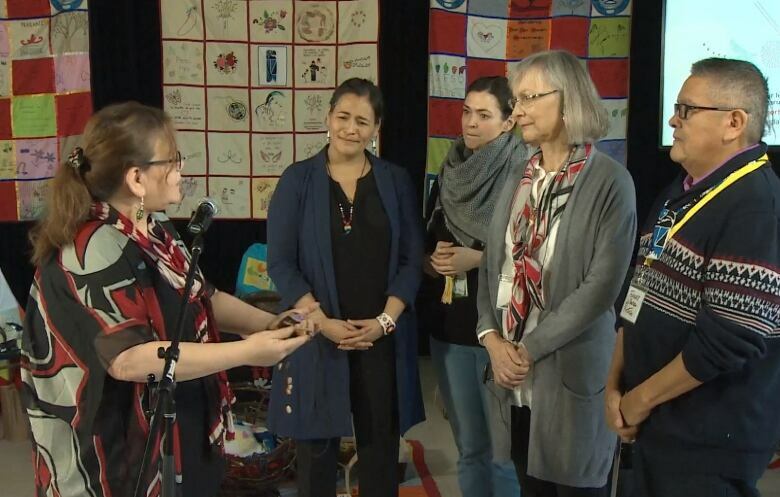 Chief Commissioner Marion Buller says the national inquiry into missing and murdered Indigenous women and girls (MMIWG) will ask the federal government for an extension of its two-year mandate. Buller said staff are still working out just how much more time and money the inquiry needs to compile its report and make recommendations to the government, after hearing stories of violence and discrimination from Indigenous women across Canada. "We don't want to come back to the government a second time. 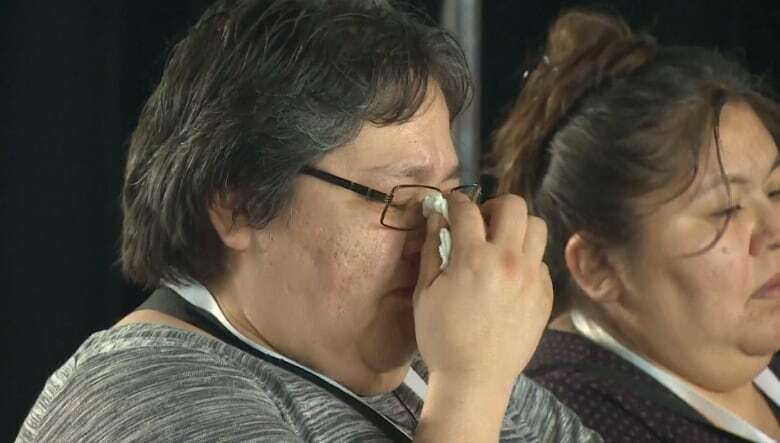 That's not fair to families and survivors; they need closure," Buller said as five days of hearings wrapped in Mani-Utenam, Que., an Innu community near Sept-Îles, 650 kilometres northeast of Quebec City. "We have one shot, and we've got to do it right," Buller said, adding that the inquiry was also hoping to post its schedule for its 2018 hearings by the end of this month. Commissioner Michèle Audette said with very little break between hearings, commissioners and support staff are being forced to sacrifice their family lives to meet the demands of the gruelling schedule. "I'll be able to kiss my son and my kids on Saturday, and Saturday night I'm on the plane already," said Audette, who will be going on to Thunder Bay, Ont., where another three days of hearings begin on Monday. "I know we have dedicated people, but I don't want to burn them." Thunder Bay will be the inquiry's eighth stop since May. Commissioner Qajaq Robinson said common threads have emerged across the country when it comes to the deep-rooted social problems present in Canada's Indigenous communities. "We've seen the impact of colonial policies; the impact of unilateral state decisions, to move communities, move families and to apprehend children," Robinson said. "We've heard the devastating impact of child sexual abuse and how communities get trapped in silence. Women and children are not safe because of a culture of silence." Over the five-day stop in Mani-Utenam, several women from Innu communities all along the north shore of the St. Lawrence River shared their stories Wednesday of being sexually abused by a once-lauded Catholic priest who worked in their territory for four decades, until his death in 1992. Elders from the Lower North Shore also said how instrumental the priest, Alexis Joveneau, was in the relocation of Innu towns in the 1960s, separating communities and families. The inquiry's hearings began in Whitehorse in May, and proceedings have so far taken place in British Columbia, Manitoba, Nova Scotia, Alberta and Saskatchewan. Hearings are scheduled for Thunder Bay, Ont., and Nunavut next month, and for Yellowknife in the new year. The planned stop in Rankin Inlet in December has been postponed and will now be held in January, CBC News has learned. The commission confirmed this week that there will be hearings in Montreal, although the date has not been set.